Calling all chefs and cooks! 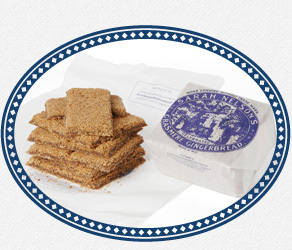 DO you have a family favourite recipe which incorporates either Grasmere Gingerbread or Grasmere Gingerbread crumbs? If so, we want to hear from you! Your recipe can be savoury or sweet, a starter, main course or dessert and reflect any culinary influence from around the world. All that we ask is that it is a truly original concoction and it includes either Grasmere Gingerbread or Grasmere Gingerbread crumbs (or both). “Please send us your recipe which must include a full list of ingredients, as well as preparation and cooking instructions,” said Joanne Hunter, a partner in Grasmere Gingerbread. In recent years several leading chefs in the Lake District have added Grasmere Gingerbread to a wide range of delicious recipes. And our recipe page on this website already includes several delicious dishes submitted by customers. Please set out your entry following the Ginger Parfait template on our recipe page and include your name, address, age (if under 18) and contact telephone number. We welcome entries from children. Each monthly winner can either spend their voucher in store or on the Lakeland company website. Millie Gavican from Carlisle, Cumbria with her amazing ‘Millie’s Grasmere Gingerbread Scookies’. 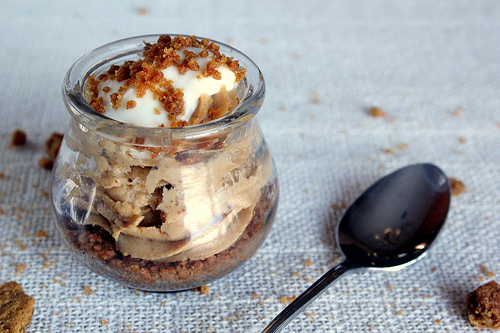 You will love this new take on scones with the taste sensation of gingerbread crumbs included. Rub together the flour, Grasmere Gingerbread crumbs, baking powder, ginger powder, sugar and butter. Add the stem ginger pieces, ginger syrup and milk to bind the mixture. Form into rounds, sit on a greased baking tray and brush the tops with milk. Bake for approximately 15 mins at 200c. Best eaten fresh but can be warmed in an oven on subsequent days. 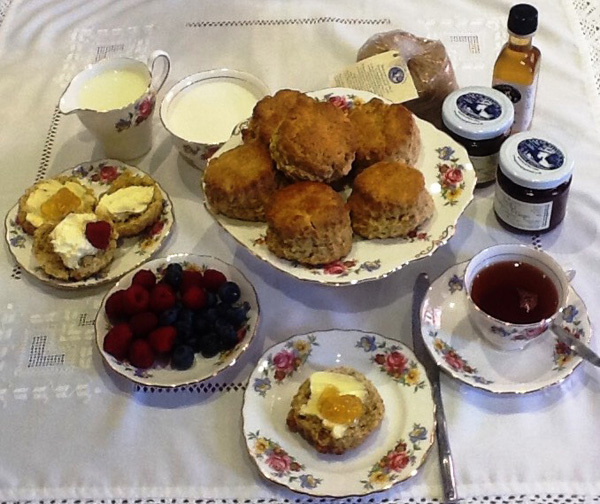 Serve with butter, clotted cream and Sarah’s Strawberry and Ginger Conserve or Sarah’s Rhubarb and Ginger Conserve. Grace Pearce from Harwich, Essex with her interesting Gingerbread Cheesecake. The crumbs work exceptionally well for cheesecakes and this recipe from Grace has a definite kick to it. Preheat oven to gas mark 4. Line muffin tins with approximately 16 paper baking cups. In a medium bowl, mix together the gingerbread crumbs and melted butter until evenly coated. Spread the crumb mixture evenly between the baking cups and press down to firm up the crust. Place in the oven and bake until set, about 10 minutes. Cool completely on cooling rack. Reduce oven temperature to gas mark 3. In a large bowl, beat the cream cheese with a mixer on medium speed until light and fluffy, about 3 minutes. Mix in the sugar and the vanilla. Reduce the mixer speed to low and add eggs, 1 at a time, beating well after each addition. Beat in the treacle, salt, spices, and orange zest. Pour the filling evenly between the baking cups. Bake until cheesecake is set but still jiggles in the centre when shaken, 20 to 30 minutes. Allow cheesecakes to cool completely on a wire rack. 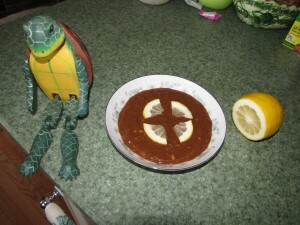 Martha Geiser from Kentucky, USA with her unusual recipe of Grandmother Marion Toohey’s Mock Turtle Soup. We love it when the gingerbread is used in savoury dishes and this one is something quite different. sherrySoak the gingerbread in 1 pint of water. As they soak, brown meat in large soup pot. Drain off liquid. Use a potato masher to obtain a fine texture, keeping the pot on low heat. Add chopped onion. Cook about 5 min. Add catshup, Worchestershire sauce, vinegar, salt and pepper, and the seeded lemon. Add 1 quart of water. Simmer for 1 hour. Add gingerbread, raising heat and stirring constantly for 5-10 minutes. Add crumbled eggs and stir. Add a dash of sherry if you like. 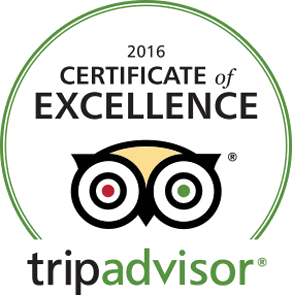 We look forward to trying out more submissions over the coming months especially with it being harvest time.